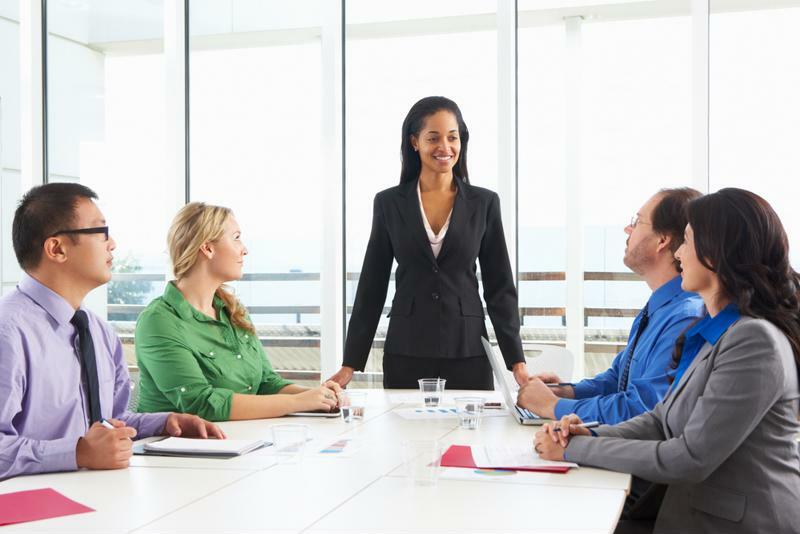 In order to be a truly effective leader, a manager must be skilled in a variety of areas. Susan Carrero, President of 7 Star HR, a PEO division of Triton Benefits & HR Solutions, recently outlined her key leadership tactics for an article in the New Jersey Business Magazine. One of the most elemental aspects of management, and one of the easiest to get wrong, is the responsibility to delegate tasks. In its worst manifestation, delegation takes the form of a stereotypical bad boss barking orders at his underlings, then taking the credit for their hard work. Instead of simply assigning work to employees, delegation should be viewed by managers as an opportunity to enhance and grow the skills of their workers. Taking the time to teach and coach employees is an important and active leadership technique. Equally essential is the act of voicing requests in a positive manner and offering comprehensive feedback, whether in the form of praise or constructive criticism, which shows employees that you understand and appreciate the work they are doing. "You have to be respected as a leader before you can gain traction in delegating," said Susan Carrero, president of Triton division 7 Star HR, when speaking with NJB Magazine. "The key is to be careful not to ask them to do something you would not do, or that you don't know how to do." While conflict in the workplace is inevitable, it doesn't always have to lead to a negative outcome. Managers well-versed in the art of conflict management can lead employees in a team-building effort to resolve the issue, which could actually enhance camaraderie and productivity. Whether the conflict is between two employees, two other managers or an employee and manager, it's helpful to involve HR as a mediating third party presence, Carrero believes. "They see every side and help develop a solution before mediation begins," Carrero said. "The employee is more able to open up about how they feel with a third party." Management and HR should also enforce a calming down period before attempting to arbitrate away disagreements. Being an effective manager requires the ability to lead on a variety of issues. Workers want clear objectives, and employers should want real, measurable results on which to grade their performance. For those reasons, specificity is the most essential component of goal setting. For example, "increasing revenue" should not be an objective, but rather "increasing revenue by X percentage points" should be set as a goal. In addition to being specific and quantifiable, objectives should be realistic, aligned with one another and attached to a fixed timeline for accomplishment. Additionally, managers should regularly meet with employees on an individual basis to discuss the progress they're making on their goals. Some of the new trends that management must adjust to are happening in the area of employee performance evaluation. The traditional model of once-a-year evaluations is being replaced by more frequent feedback meetings, and the old five-point rating scale is losing favor as employers choose instead to focus on development and planning methods for growth and improvement. Carrero recommends giving established employees annual evaluations in addition to quarterly reviews, while meeting with new hires at least once a month throughout the first 90 days, and potentially more if they're struggling in the new role. "During an employee review, you need to get in the trenches and talk about specific duties, open the door for employee feedback, encourage inner development, and allow them to set some goals for themselves," she told NJB. "If there are areas for improvement, you might want to surround them with positive feedback first. Otherwise, they get upset and you lose their attention." As long as the periodic reviews are not too time-consuming or stressful, they should actually be appreciated by employees. Research shows that fewer than 30 percent of workers feel as if they always know whether or not they're doing a good job, according to Forbes, meaning that over two-thirds of the workforce requires more regular validation or constructive criticism to know where they stand. Though the terms "managing" and "coaching" are sometimes used interchangeably, it's more accurate to view coaching as one of the primary responsibilities of management. And a good leader treats coaching not as simple instruction, but as an opportunity to identify and communicate both strengths and areas of improvement. "The best coaches are good listeners who allow employees to provide feedback," opined Carrero. "During the counseling, you have to set benchmarks, goals and realistic timelines. Sometimes you have to offer a final warning with the expectation that if it's not done they could be transitioning to a different position or be on way out the door." Many employers are making an active effort to create more diverse workforces, with hiring and advancement practices that aim to recruit and retain talented individuals from a wide range of backgrounds. And in addition to the cultural differences that managers are increasingly required to navigate, there are also multiple generations occupying the workforce and carrying different needs and expectations, to a large extent. Figuring out how to motivate new or recent millennial hires versus more experienced employees, and what level of guidance each wants or requires, can prove just as difficult as remaining sensitive and attuned to the different cultural backgrounds or a diverse workforce. While many management challenges require skills and experience, there are other HR issues that can be best handled by a third party provider. For help conquering the complications of HR and benefits, reach out to PEO 7 Star HR.